A big thank you to everyone who turned up on our open days. Over the two days we had 199 visitors (73 on the 7th and 126 on the 13th) despite the fact that we have been closed for 6 months and have restricted access which meant a 10 minuet walk from our normal entrance. This has been a great help especially as we got over £100 in donations over the two days. This money will help with the upkeep of the box and allow us to keep working and get us through this year to our reopening. 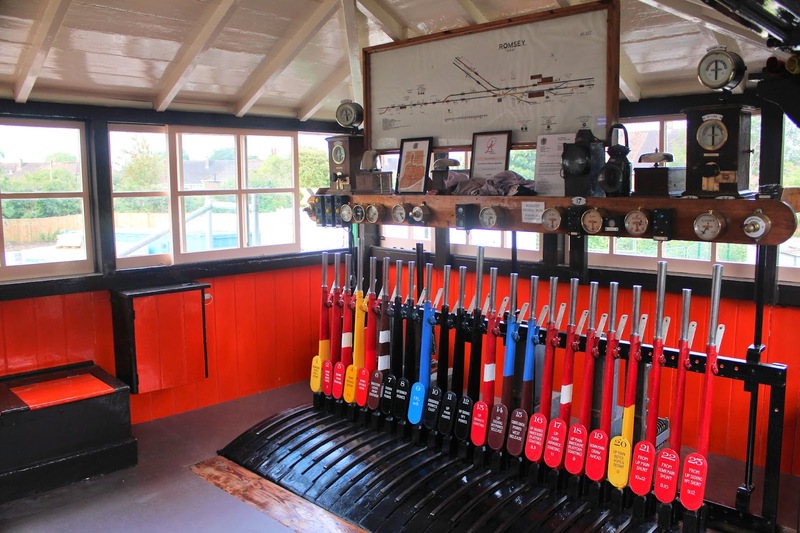 We are also looking to open next year on Saturday March 7th in association with the model railway exhibition and also to align with the 150th anniversary of the opening of the Redbridge-Romsey-Andover line (railway line officially opened March 6th). This will be an exciting time to visit the box as we will probably do something extra special for the event. Work on Saturday was minimal. Sunday, however, saw more action. 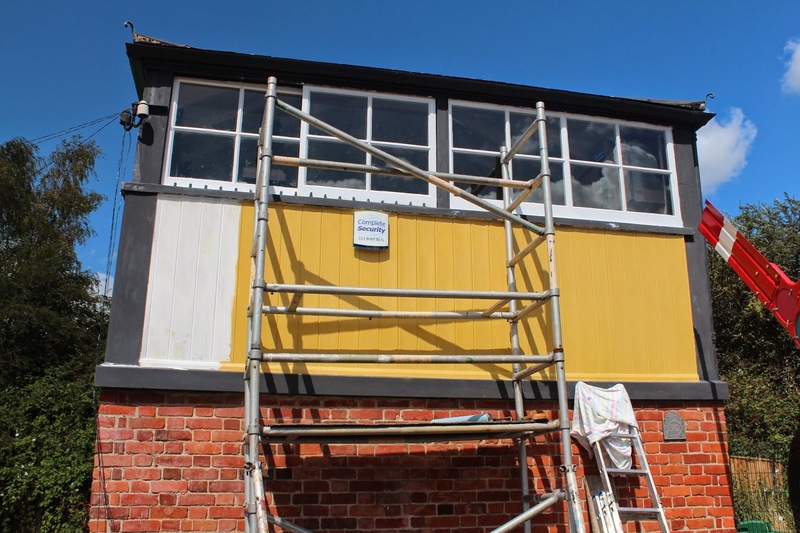 Young member Tom continued work on the trolley seating area, Tom along with Josh look to attend our work day on Thursday to start the repainting. A lot of weeding was done by David and Gavin, and then Peter and Tom also re-did the wood preservative on the trolleys and also repainted the wheels. Jamie and Gavin also started to dismantle the ground frame as it is in desperate need of renovation. Jamie is looking to finish the dismantling on Thursday and give all the metal work a strip down and a coat of red oxide paint. Thanks again for all your support and we look forward to reopening and hope to see you on the 7th of March. Dates for the permanent reopening of the box will be published at a later date. 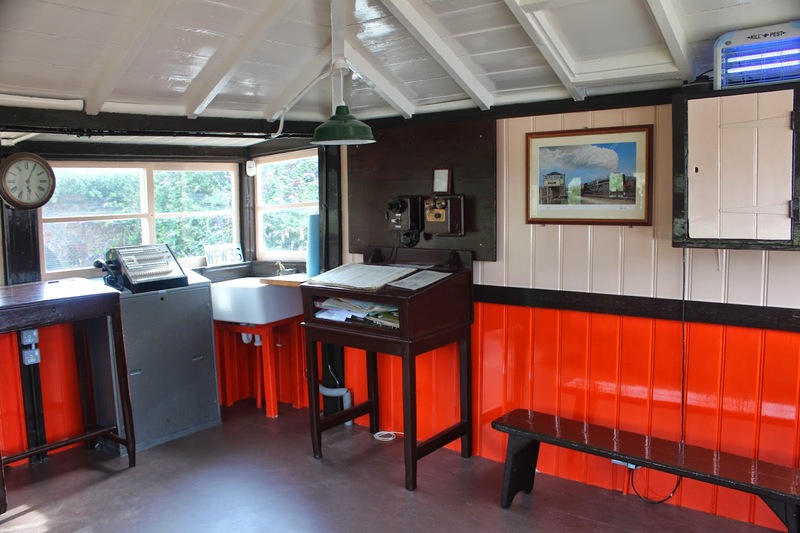 The inside of the signal box has now been completely redecorated in the authentic pre-1920s colours. It was a mammoth task and took up many hours. It was also very difficult to know just how far to go, after all it's a very old building. If we made things look too pristine it would begin to look like a new building. A compromise was reached at each stage and, hopefully, we have achieved our goal. We hope you like the end result. We have now moved on to the outside again. The north side was redecorated last summer. We are now doing all the preparation work to the east side. 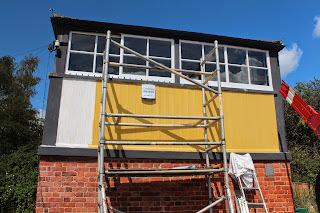 The old paint is being burnt off, the bare wood sanded and then knotting and primer applied. Filler, more sanding, undercoat and gloss will then be applied. Again, it's a lot of work, but worth it in the long run. After Saturday's open day we are pleased to announce that it was a booming success with over 7o visitors turned up, even in the drizzling rain, to say hello and find out about our progress. 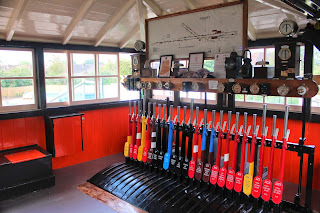 I know what you're thinking, "AHH, I missed my chance to visit the fantastic Romsey Signal Box", well fear not my friend, we are open again on Sunday the 13th. Its you last chance to visit the box this year until we re-open this time next year. Thank you for your support! Don't forget that we are not accessible through our old gates on Winchester Road, you will have to park in the Nightingale surgery car park and take a short walk to our gate. We're sorry, its the only way. 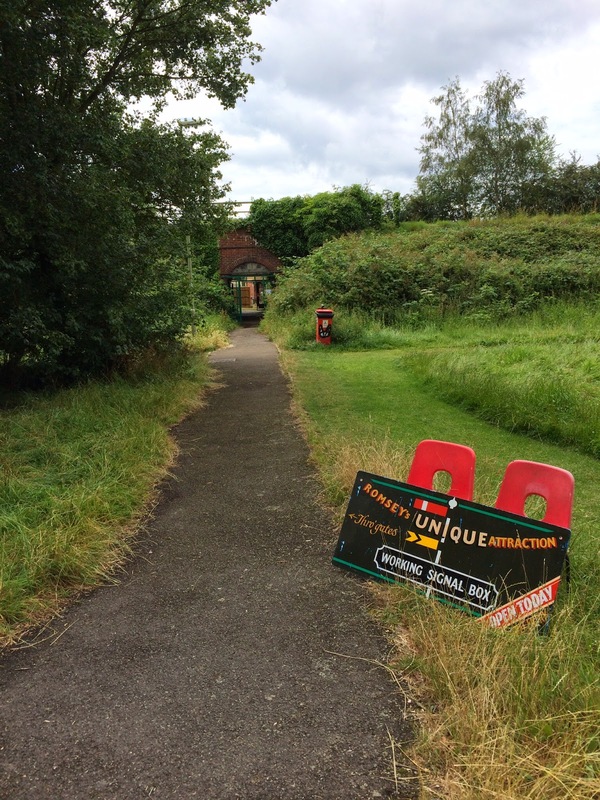 There will be signs to show the way to the box, there is a short walk to get there, but the path is paved. Please remember to park in the nightingale surgery car part if you are joining us on Saturday, we have permission to use the car park from the surgery . You will have no access through the normal gates due to building works.